Everyone who goes into business has a good idea. So, why do so many businesses fail? How to Screw Up A Good Idea helps you to identify common mistakes business owners make with hope that you’ll avoid them in your own company. Topics covered include: Wrong Reasons, Wrong Person, Wrong Team, Bad Planning, Bad Branding, Bad Launch, Bad Management and Bad Money Management. 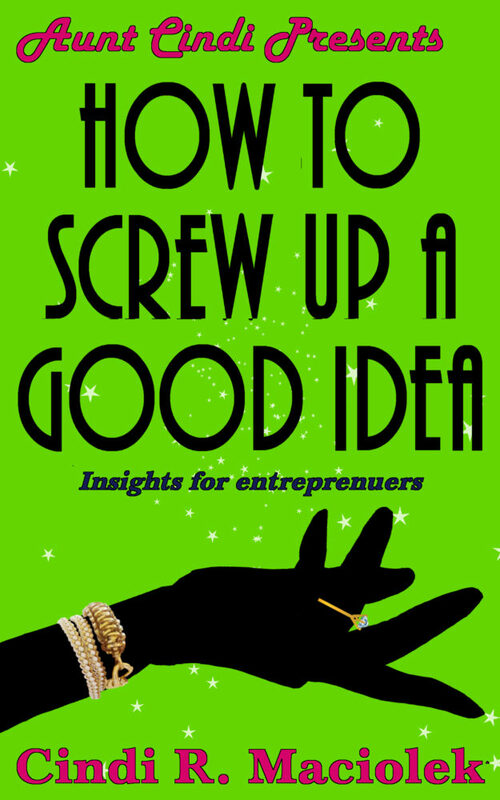 As part of the Aunti Cindi Presents series, How to Screw Up a Good Idea is a book for the solopreneur, entrepreneur and small business owner. Check back for future tomes offering sage advice for a fulfilled life. Owning a business is fun and exciting but it’s also a lot of hard work. The more organized you become, the more efficient you become as well. Taking time to schedule these fundamentals of operating a business smoothly will ultimately result in a better business. Tame Those Pesky Details offers a month-by-month plan to keep your business in tip-top shape, from setting goals to reviewing equipment needs and planning for emergencies. 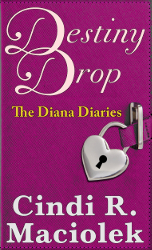 As part of the Aunti Cindi Presents series, Tame Those Pesky Details is a book for the solopreneur, entrepreneur and small business owner. 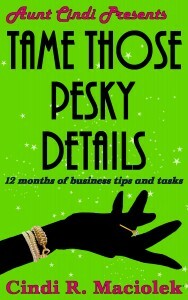 Check back for future tomes offering sage advice for business and life.